Clean up! Bush Hog®’s new PW-series line of pressure washers is the ideal choice for making your cleaning jobs a cinch. 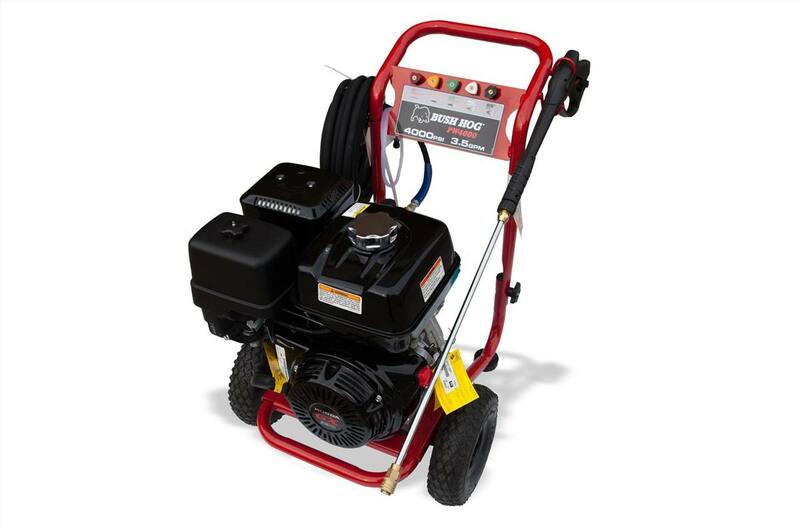 Equipped with commercial grade Honda engines, top-of-the-line CAT pumps comprised of solid ceramic plungers and high pressure seals, five quick connect spray tips, and a 25’ high pressure rubber hose, these units are the perfect option for cleaning jobs at home or on location. The PW models also come mounted on a durable welded steel frame.